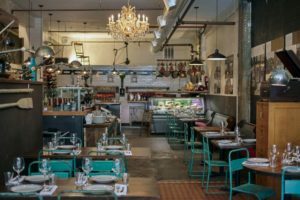 Located down a bright alley off a sketchy street that even some overly nervous locals ridiculously avoid, Montesacro is a restaurant worth seeking out. It serves pinsa, which if you haven’t had it, you want it. A pinsa is a Roman flatbread, made with rice, soy, and wheat flour, and leavened for at least 72 hours. That makes a difference, as the result is much easier to digest than typical American pizza. But easy digestion is not the reason to go to Montesacro. 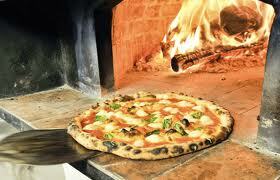 All the food is simple, delicious, made with top quality ingredients, many imported directly from Rome. Montesacro is named for an area outside of Rome, and the interior makes you feel like you’ve stepped into one of its neighborhood restaurants. There is an interesting wine list, many of which are little known Italian imports, and offer a chance to drink something outside the usual Zin and Cabs. Tell your server what style of wine you like, and at what price. and they will make several suggestions. 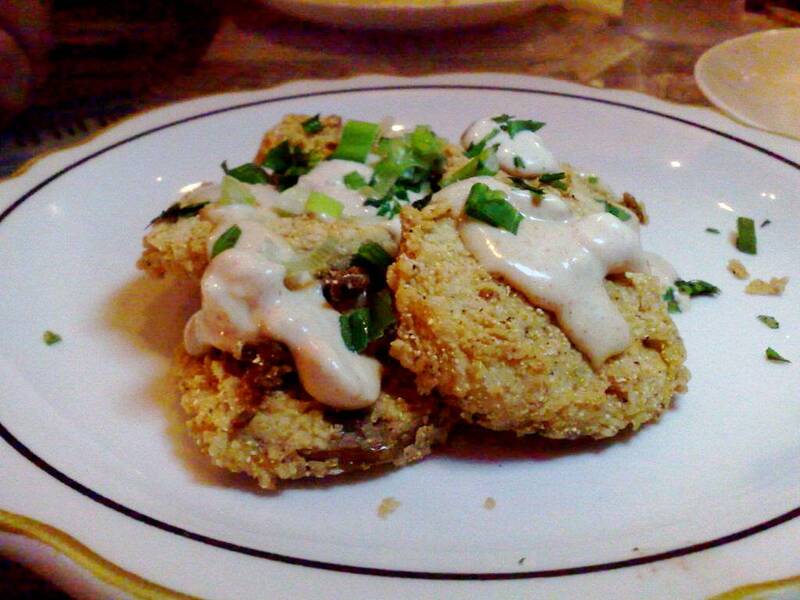 Reservations are usually a good idea, but they do hold space for walk-ups. It is easy to stick to favorite restaurants and bars. It makes the decision making process easier, especially after a long week and all I want is a glass of wine in a comfortable place with no surprises to price or atmosphere. What I tend to forget is that the usual places I love were at one time new discoveries. I discovered Amalie a few weeks ago. It was a night I was searching for a good glass of wine and some good cheese. I started at a place in the Financial District (or the FiDi, as it is known to those who are very busy and overscheduled and to prove it to us lesser mortals must use an acronym at every opportunity. By the way, “San Fran” drives me up the wall as well. But that’s another post. Anyway….) which was way overpriced for both the wine and the cheese plate. The portions on the cheese plate seemed to come from scraps tossed onto board as the waiter rushed by the kitchen, and wine, while good, not worth the price. Here’s a rule of thumb I usually stick by: if the wine menu doesn’t have at least one glass of wine under $10, go somewhere else. If nothing is under $15, run like the wind. 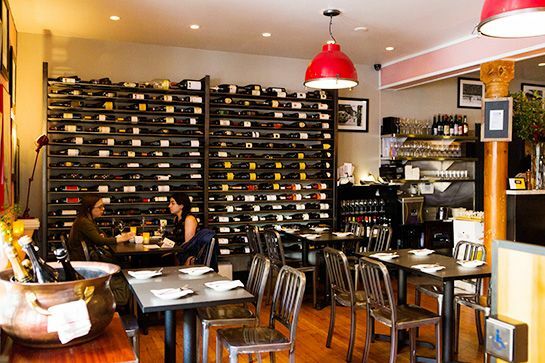 You can get good wine all over the city that won’t bust your budget. Undaunted I searched for “best cheese plate” and Amalie came up as a favorite several times. And with good reason. 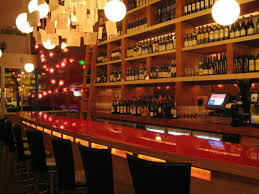 It is a lively bar with a large selection of wines by the bottle and glass. The Monday night I was there the special was a bottle of wine and a cheese plate for $35. A steal. The wine was earthy with some spice, not the fruit bomb that is woefully common these days, and the cheese plate had proper portions, not the insulting dainty servings that are also far too common. The attention to good wine and food served at a reasonable price may have something to do with the French atmosphere of Amalie, and the staff, who are also international. They take good wine and food as a birthright, as an indispensable part of life. I couldn’t agree more. My wife and I have a standing date on Friday night, known as the Wine Hour, even though it lasts longer than that. The Hotel Biron is one of our favorite destinations. It has a great wine list with about 50 wines, about half by the glass. The pours are generous, but unless you’re going to sample several different wines (which I endorse) , I would suggest telling the bartender (winetender?) what you like, ask for a taste, and if it is good, buy the bottle. The glass to bottle price at the Hotel Biron makes it a deal. There are 5 glasses to a bottle, so if your group, (or just you) are going to have at least three glasses, get the bottle. You can cork the leftover and take it with you. This is one of those places off the tourist path. 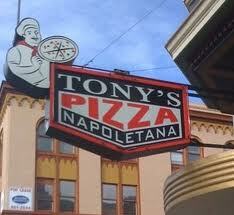 It is a small, brick lined place that is not on a main street and doesn’t have a big sign blaring its location. 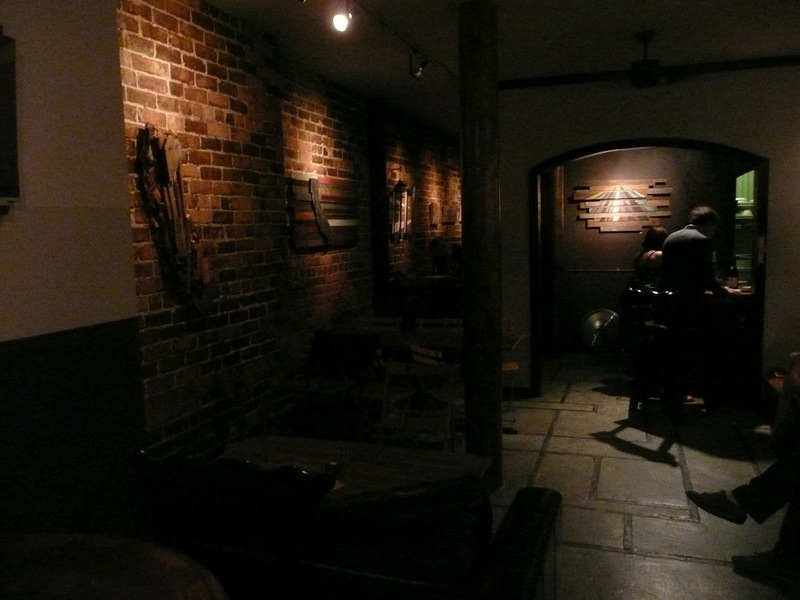 It also doubles as an art gallery, and has interesting pieces on the wall. The last time I was there the one piece I really wanted had already been spoken for. Fortunately, there was wine to ease my pain. 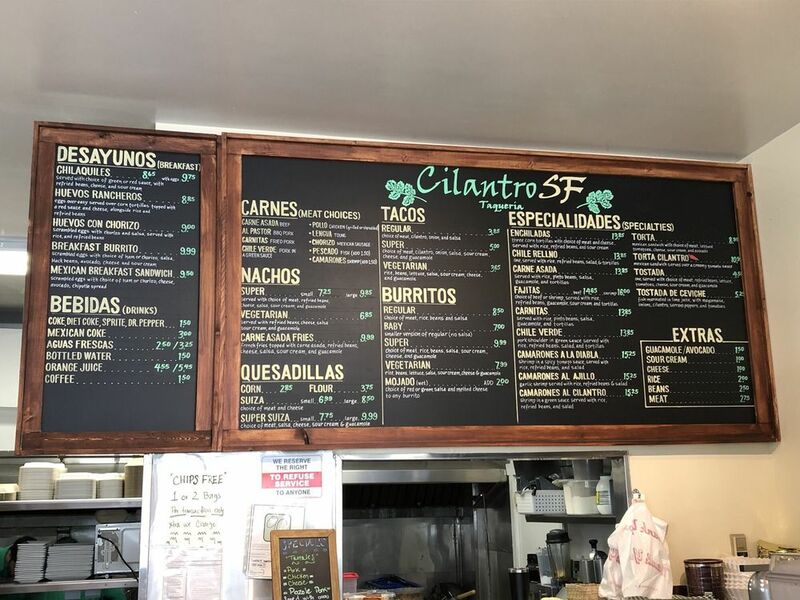 If you’re staying downtown, there are many good reasons to hop on the N-Judah street car and take a quick ride to Cole Valley, and the Inner Sunset. There you will experience San Francisco neighborhoods that most visitors miss, and restaurants and wine bars locals love. Get off the N-Judah at Carl and Cole, and Inovino is steps away. 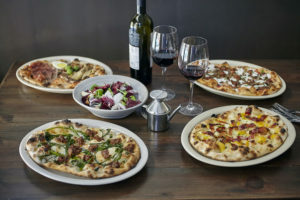 Inovino is an intimate wine bar that has great food and wine, and is especially a deal at happy hour (from 4-6 weekdays, 3-6 Saturday and Sunday). 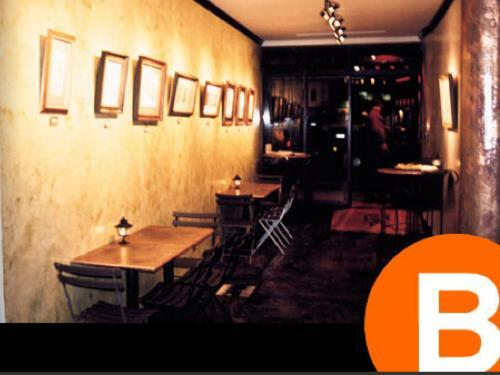 Francesco, the owner knows his wine and has a extensive and interesting wine list. He as created a restaurant where the neighborhood loves to hang out. It is where my wife and I have our weekly Friday night “wined down” for the week. This is the sort of place you go home and brag about finding. It’s great wine and food in casual, neighborhood atmosphere. 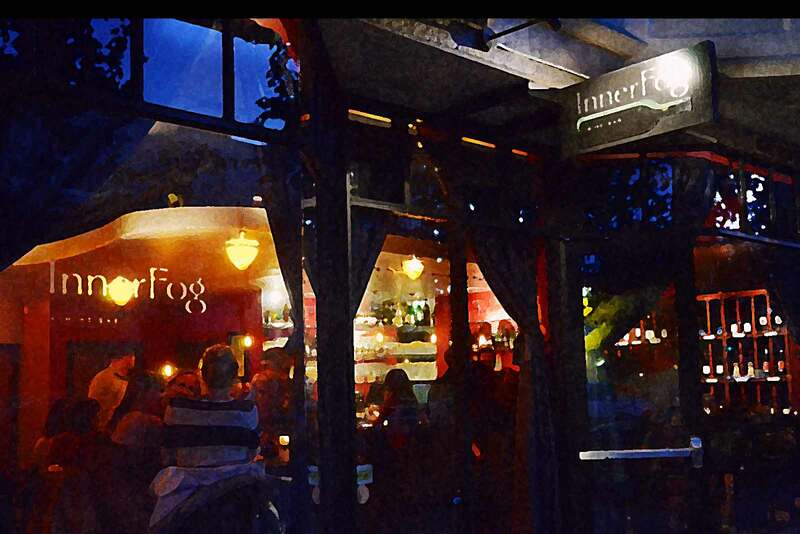 A quick trip on the N Judah train (aka streetcar) from downtown takes you to the Inner Fog wine bar, a great neighbor hangout with an outstanding happy hour deal. The Inner Fog at 545 Irving in the Inner Sunset. I love showing guests the Inner Sunset on their custom private tour, and it is easy to get to especially if you’re staying downtown. Take the N Judah, get off at 7th Ave, and it’s right across the street. The Inner Fog is great anytime, but from 4-6 Monday through Friday, you can get some terrific wine for only $7 a glass. The happy hour wine changes every few weeks. Currently I like the Tempranillo, but whatever they have when you arrive is going to be good. And if you can’t make it for happy hour, come anyway. The wines are always good and reasonably priced. And they have beer, if that’s your beverage. And there are small snack plates if you’re hungry. The staff is knowledgeable and friendly, and the place itself is smallish and inviting. If you want to brag that you’ve gone off the beaten path, and without much effort (the N is really speedy from any downtown MUNI station), head into the Inner Fog. 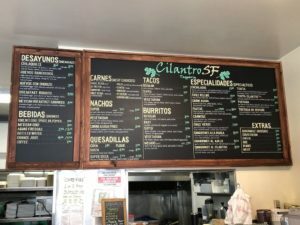 Tommy’s Mexican out at 24th/Geary is one of those off the beaten path places that you’ll love, and be able to boast about visiting when you get back home. While the restaurant is good, the real draw is the small bar serving up 100’s of tequilas. 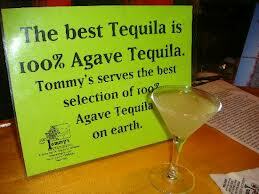 Personally, I like the house margaritas, which are made with quality tequila and fresh limes–no premixed stuff. The place is small, so get there’s early if you want to be sure you get a seat. But even if you don’t, the atmosphere is so friendly that you won’t mind standing. 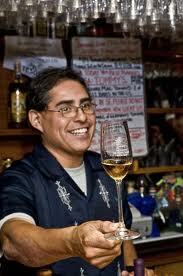 Julio, (pictured) is the owners’ son, and the mastermind behind creating “The Greatest Tequila Bar on Earth.” He has been featured in numerous magazines and television show. If Julio is there when you are, he will treat you like a friend and long time regular. It’s out in the little-visted Richmond district (out in the Avenues, as we say), but easy access from down town on the 38 Geary bus. And you’ll want to take public transportation, because you should never drive in San Francisco anyway, but especially after enjoying the best margaritas you’ll ever have. Of course I can drop you off there after your private tour, but I won’t be drinking, at least until I get the MINI back safely in the garage. Fisherman’s Wharf, like any other tourist destination in the world, has overpriced food, and even more overpriced water. A bottle of water will set you back a $1 if you’re lucky, but more likely $2 or more. And the restaurants are, for the most part, over priced and mediocre quality. Fortunately, if you walk 2 blocks off the wharf, you can save money, and eat better. At the corner of 401 Bay St. at Mason, there is a Trader Joe’s. For 19 cents you can get a bottle that would cost $2.50 on the wharf. And the bigger bottles are an even better deal. You can also buy sandwiches, salads and snacks. 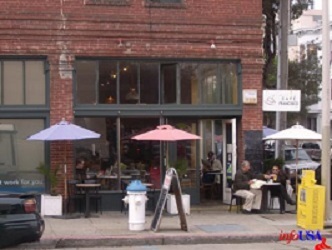 If you want to sit down to eat, there is the Cafe Francisco (2161 Powell at Francisco). No only is the food good and reasonably priced, it is a local’s hang out. Down the block at 2257 Mason at Francisco is the Cilantro Taqueria , which serves up great burritos, tacos, and other Mexican food. This is a rule everywhere in the world—2 blocks off the main tourist street, you find local treasures. 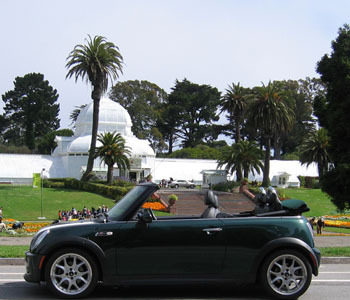 Most visitors to San Francisco make it out to East end of Golden Gate Park. Aside from it being a beautiful place to stroll, there are museums, gardens, and other attractions. 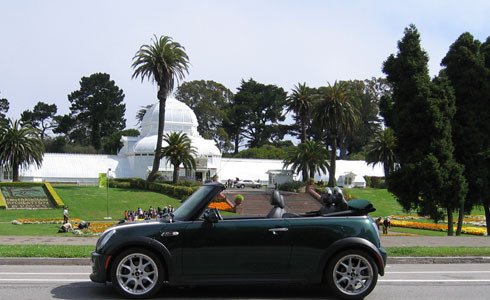 The Conservatory of Flowers (a world famous example of Victorian greenhouse architecture, upper right corner of the map), the Academy of Sciences, the DeYoung Museum, and Japanese Tea Garden (located around Music Concourse Dr.) are most popular destinations. But unknown to most visitors is that they are on the edge of neighborhood that has a lot of great restaurants and interesting shops. 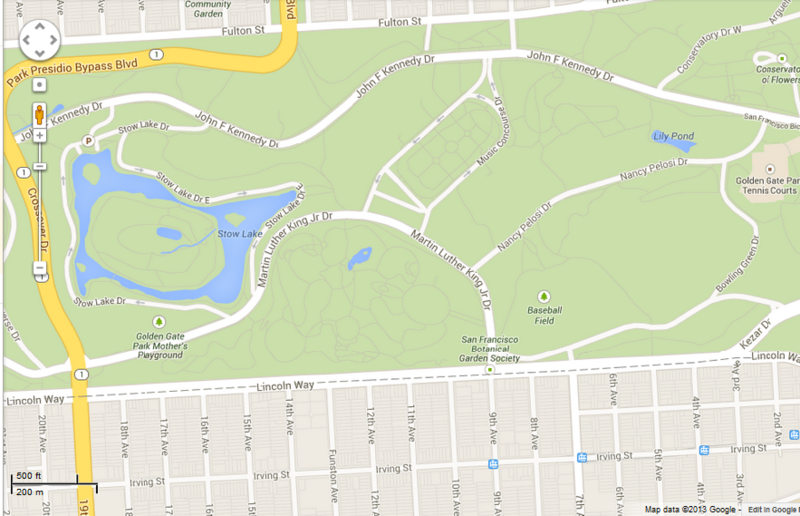 The Inner Sunset is just a 5 minute walk from the museums along Martin Luther King Jr. Dr. to 9th Ave. Along 9th Ave. you’ll find Misdirections (one of the few brick and mortar magic shops left), Ebisu (my favorite sushi restaurant), and Hotei (Japanese noodles). Turn left at Irving, and within a few blocks there is Amazing Fantasy comic books (8th Ave), Inner Fog (great wine bar, between 6th and 7th), the Crepevine (good and inexpensive food, especially for breakfast and lunch, between 7th and 8th) and several coffee shops. If you’re around during lunch, drop into the Wolly Pig for great sandwiches, (at Hugo and 3rd.) Turn right at 9th and Irving, and down the street (between 11th and 12th) is San Tung, where people line up for the amazing chicken wings. Those are just some of the places to discover in this neighborhood. And after you’re done exploring getting back downtown is a snap on the N Judah. I’m always looking for restaurants the will give guests to San Francisco “bragging rights.” By that I mean a restaurant the is off the tourist path of usual suspects (many of which are good–such as Tony’s Pizza and Cafe Zeotrope), and when you talk about your vacation later, you’ll be able to boast you ate a place very few tourists, and even few locals, know about. western edge of the city. Go three more blocks, and you’re in the ocean. Reservations are highly recommended. 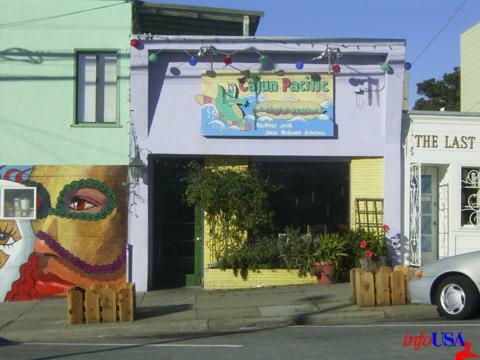 And it is an easy ride (about 25 minutes) to get out there on the N Judah, which you can pick up downtown under Market St.
Take the trip and treat yourself to great Cajun food, a San Francisco experience, and bragging rights about finding a hidden gem. 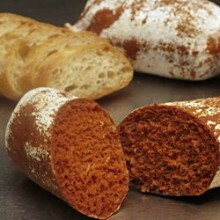 Nduja—Spicy Spreadable Salami. You want this. Nduja (“en-doo-ya”) is spreadable salami, and perfectly spiced. If you have never had it, and probably haven’t, you should. You can pick it up (and other porky treats) at Boccalone in the Ferry Building. (The Ferry Building is at the foot of Market St. on the Embarcadero.) 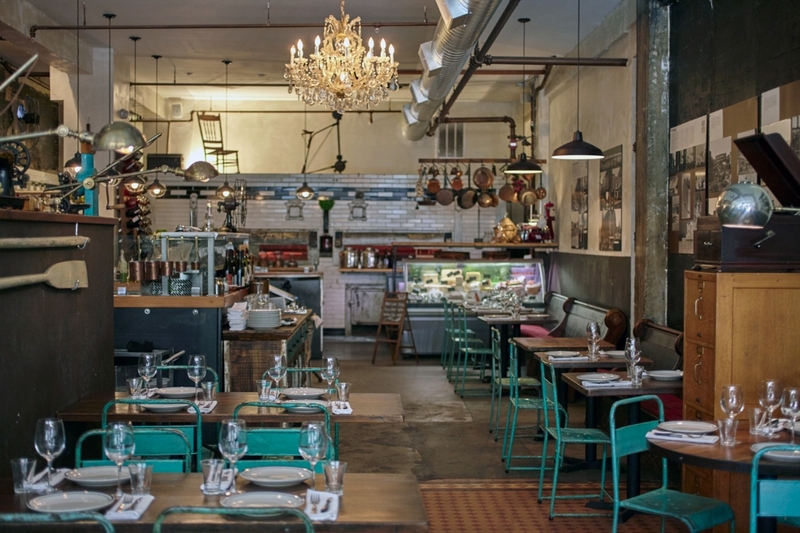 In a city known for food, Nduja is a standout. When I serve it as an appetizer at dinner parties, it’s always a hit and there are never any leftovers. Get some with a loaf of sourdough bread or crackers, and treat yourself. Buy some to take back home. As a matter of fact, buy two: one to share, and one all for yourself. They don’t take reservations, so plan to wait either at the bar or somewhere else (they will take you cell phone number and call when your table is ready. Fortunately, since Tony’s is in the heart of North Beach (1570 Stockton at Union), there are a lot of bars and coffee shops nearby.